Today I am here with a very special guest, someone I am honored to be with, Kazushi Sakuraba. Sakuraba is one of the most famous and successful MMA fighters of all time and he is one of the best grapplers in the world with the kimura. The kimura was the submission that he was able to win many of his matches with. Sakuraba is a very experienced grappler, and today he is going to show us how to finish the kimura when the opponent is in turtle. So guys as you can see this is a very unique take on a traditional position that many of us are probably familiar with. Sakuraba has so many cool tricks and tips for the kimura that I have never seen. We just finished shooting a video series with him and I was very impressed. can’t break their grip. What Sakuraba is doing is that instead of addressing just the grip he is going to pull the opponents leg to his shoulder. 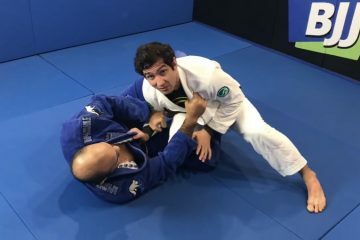 Almost like an X guard or deep half and by doing this he is able to break the grip. 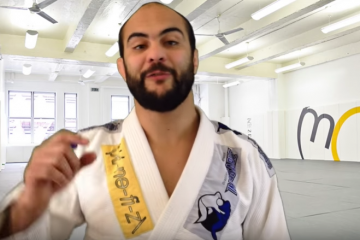 Very excited to have had the opportunity to learn from him and I am excited for all of you guys to see his series coming soon to bjjfanatics.com! Oss guys, enjoy!